In addition to OTA’s curriculum of standard courses, our education offering extends to a series of training modules that offer the possibility of customizing a seminar to an organization’s specific needs. Each training module represents a half day of training time. We can easily combine as many training modules as needed in order to assemble a seminar tailored to your needs. Following is a list of existing training modules. 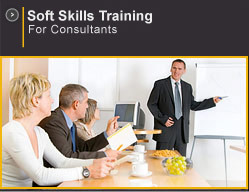 Click on the Training Module title to see a brief description. OTA can also develop custom training modules to meet specific training requirements. For a complete description of the modules or to order a customized Training Seminar, contact info@ota.ca. 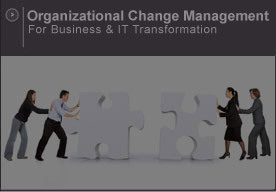 This workshop introduces tools and techniques that managers can leverage to face common ‘people management’ challenges. The Ken Blanchard Situational Leadership (SLII) self assessment kit is used as a framework that provides opportunities to enhance communication, diagnosis and flexibility skills. Because it opens up communications, SLII is especially effective when working with knowledge workers, whether they be colleagues, subordinates or customers. Managing customer expectations is a complex competency that draws on many fundamental consulting skills. For IT consultants, it typically involves the ability to articulate value, effective requirements documentation, project change request management, mapping stakeholder concerns, objection handling, establishing trust and effective probing/listening skills. Furthermore, expectations management is often a team-based activity, requiring consistent behaviors and messaging from the consulting team. This module explores best practices and provides opportunities for participants to share lessons learned. High-performance project teams share the same traits: commitment to common goals, strong identity, willingness to share information and high morale. This presentation will introduce best practices that help you form teams when team members are separated by geography, culture and time zones. You’ll learn about the challenges and the resources available for cross cultural communication and collaboration technology. Learn how to deal with difficult customers. Being an external consultant is hard, but so is being a customer sometimes! This module covers some common “difficult customer behaviors” and introduces techniques to re-establish rapport. Video examples highlight typical disruptive behaviors as well as effective ways of dealing with them. Learn what triggers difficult behaviour, and share your most challenging customer situations. Presentations to executives and senior managers differ from those made to project team members. This session will help participants understand executive expectations and define effective ways of delivering executive briefings. You’ll learn what executives and senior managers care about, the messaging and presentation strategies that work (and those that don’t), as well as a process for structuring executive presentations. On-site consultants are ideally positioned to identify additional opportunities to sell services that provide real value to their customers. Find out how you can qualify opportunities and lay the groundwork for your sales colleagues, while maintaining the trust of your customers. Negotiation skills are pivotal in many consulting activities: gaining stakeholder commitment, obtaining resources, and setting (or resetting) expectations. This session introduces simple techniques for analyzing, planning and negotiating win-win outcomes. You’ll learn how to define your bottom line, how to analyze stakeholders and their needs, and what common mistakes to avoid. Exercise: What is it you want… and often don’t get? Establishing and maintaining productive relationships with consultants of other consulting firms can be a challenge. Learn what you can do to prevent conflicts and ensure that both the customer and the partner achieve their goals. You’ll learn the common sources of friction, how to initiate a conversation about ground rules that prevent conflict, and tactics for handling delicate situations. 8 levels of consulting purposes: where do you position yourself? ... And your partner? To communicate assertively is to express yourself openly, confidently and honestly, without denying the opinions of others. But how do you do it when deadlines are tight and you’re surrounded by opinionated, stressed, and potentially hostile customers and colleagues? This session proposes a simple way to pull back, gain control of the situation and break the cycle of defensiveness. Survival skills are fundamental in establishing and maintaining productive relationships with customers, colleagues and partners. Participants have an opportunity to learn and practice these techniques as well as share their experiences in their usage. Handouts and quick reference cards ensure portability of these skills. Being an outside consultant typically forces you into a role of change agent, and real change will naturally meet with some resistance. Understanding the natural process and dynamics of resistance and learning to anticipate its manifestations will make you a more effective consultant, while reducing your stress level! ‘In a fight between you and the world, bet on the world’ (F. Kafka). Without the ability to foster a coalition of stakeholders, even the best solution will never be implemented. This training module provides a framework to help participants navigate the political realities of modern organizations.